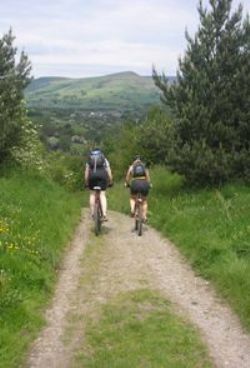 Get ready for full on adventure in some of England's most stunning natural scenery. Firstly the enormous and historic Cheddar Gorge, with its soaring limestone cliffs, then the plunging caves of Goatchurch Cavern, then it's off over the Mendip Hills via Burrington Coombe to the peaceful Goblin Coombe. Including a stunning trek above the mighty Cheddar Gorge, challenging subterranean exploration, back to nature map and compass navigation, and challenging cycling through some of the country's finest and most ancient geological features. This is an amazing action challenge day - so be ready for adrenaline a plenty! Arrival Day - Friday evening Meet Cheddar & settle into accommodation. Event Briefing, challenge kit preparation. Evening Meal & meet event leaders. 08.00 First Challenge - Mendip Orienteer - and trek 11km along top of Cheddar Gorge - start directly from Challenge HQ in Cheddar - receive orienteer route maps and co-ordinate descriptions. 10.00 Second Challenge - Underground Mendip - in small teams of around 8, you will head into the fascinating Goatchurch Cavern - and explore its myriad of accessible passageways. Your leader will help you to explore at an appropriate level - but this is - please note - an introductory caving session - and will be achievable for everybody. 14.00 Fourth Challenge - Mega Abseil - Get ready for a thrilling abseil from a towering limestone cliff face. Get ready for some proper adrenaline! Goblin Combe is a beautiful tranquil spot - and its secluded rockfaces are ideal for this type of activity. 16.00 Fifth Challenge - On Two Wheels - joining your bikes (which will have been delivered to this spot by support vehicle) - you will embark on a special marathon length ride through the high Mendips, returning to Burrington Combe, and then up and over , and finally descending (carefully) down Cheddar Gorge itself. Finally you will find yourself back at Challenge HQ once again - pretty exhausted - but having completed one enormous, challenge filled day - life may never be quite the same again! Time for a shower and get changed ready for dinner. This itinerary includes for the provision of two night's accommodation at our bunkhouse 'HQ' in Cheddar. Bedding and breakfast is included - and will be a buffet style, cold breakfast - with plenty of choice. Event Marshalls, 2 night's accommodation, in good quality simple bunkhouse, including breakfast, climbing equipment (ropes, harnesses, helmets - but not climbing shoes) pre-event joining instructions, safety radios (if required), event maps, caving helmets and torches. Support Vehicle & Driver (subject to participating numbers) NB - Hire Bikes are available for this challenge at a rate of £15 for the day. Meals: You will have 2 breakfasts, 1 packed lunch, and 2 dinners included for you on this challenge. Bike hire (please ask if you require this), transport to and from the event. Personal Equipment (Climbing equipment is included). By nature all activities contain an element of risk.Your leader will be first aid qualified and will carry the appropriate safety kit for the activity, such as mountain safety shelters, walking rope and from time to time mobile radios. Safety equipment carried will be appropriate to trip. The leader's primary role is to ensure your safety, but it is your responsibility to listen to their guidance and instructions. All climbing equipment is regularly checked and is retired well within its recommended shelf life - as recommended by the Mountain Leader Training Guidelines. Your instructors will be qualified either as Caving Instructor, Climbing Instructor, or British Mountain Leader - all under the appropriate National Governing Body. This event is a spring / summer adventure challenge - and typically runs in May to September - weather should be warm (ish) - but at all times you should expect a mixture -be prepared!